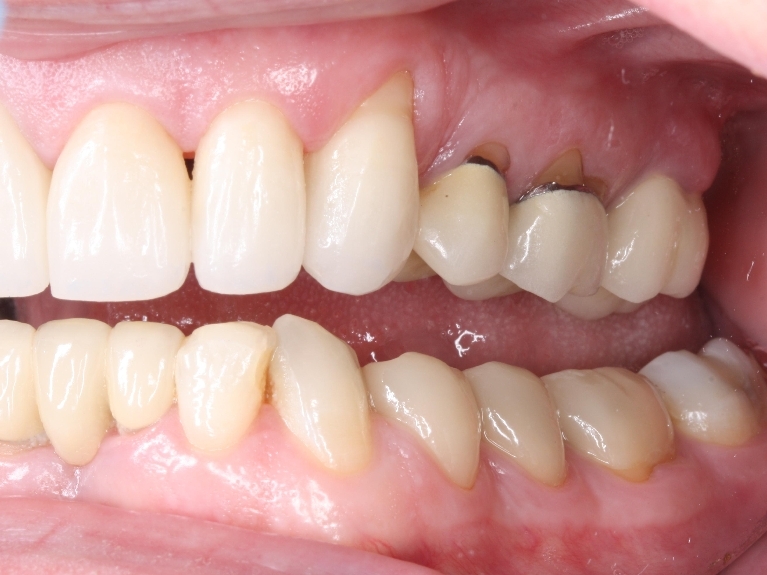 Would you like to change the appearance of your smile but aren’t sure where to start? 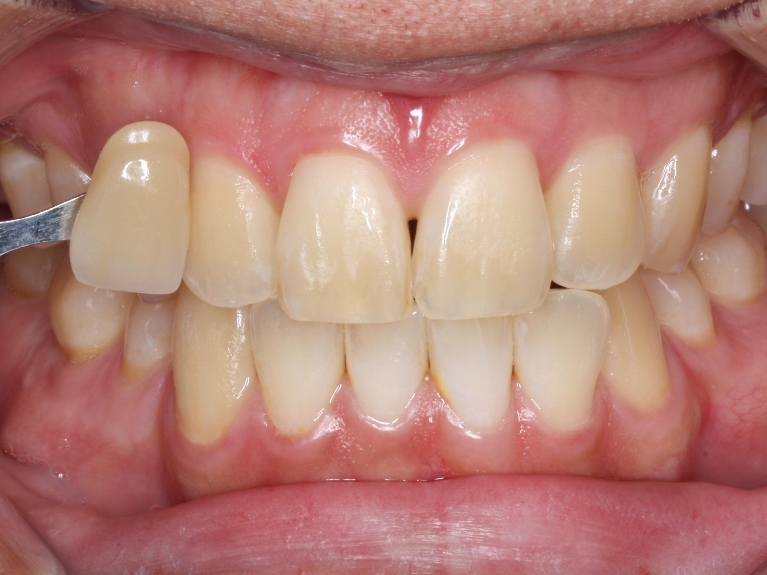 For inspiration, please take a moment to browse through our gallery to see some of the actual smile transformations we’ve created for our very satisfied patients! 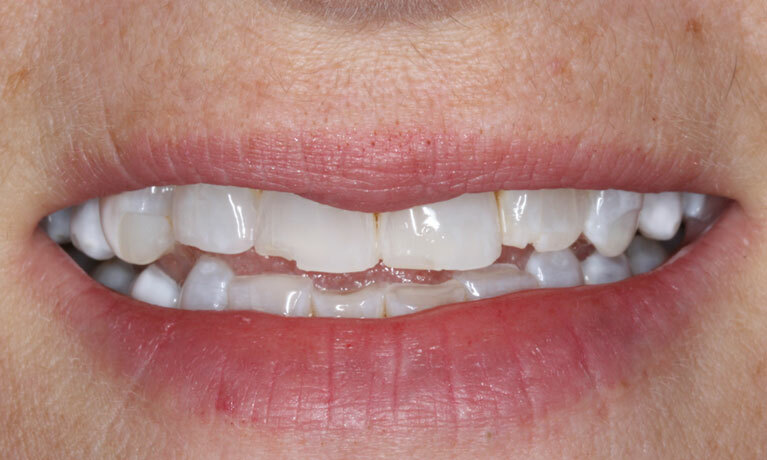 This 50 year old Rancho Bernardo resident wanted her teeth to be whitened. 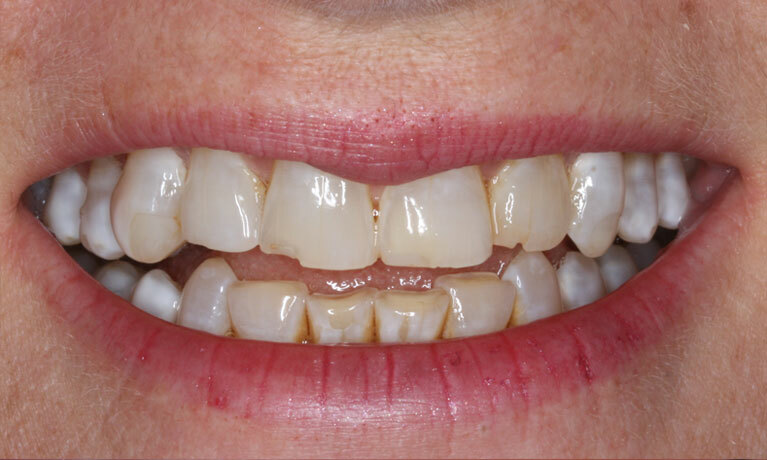 She has some strong concerns regarding the staining on her teeth that have been present for decades. 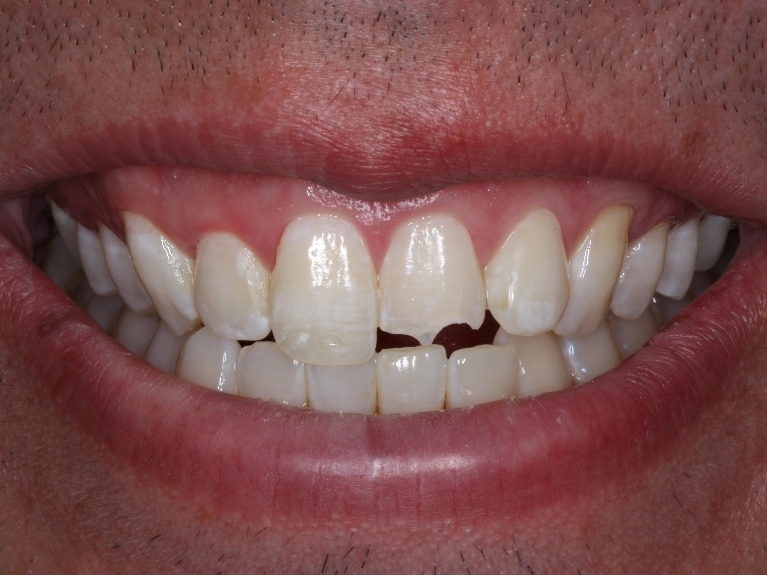 This young man chipped his tooth while getting a rebound in a basketball game. 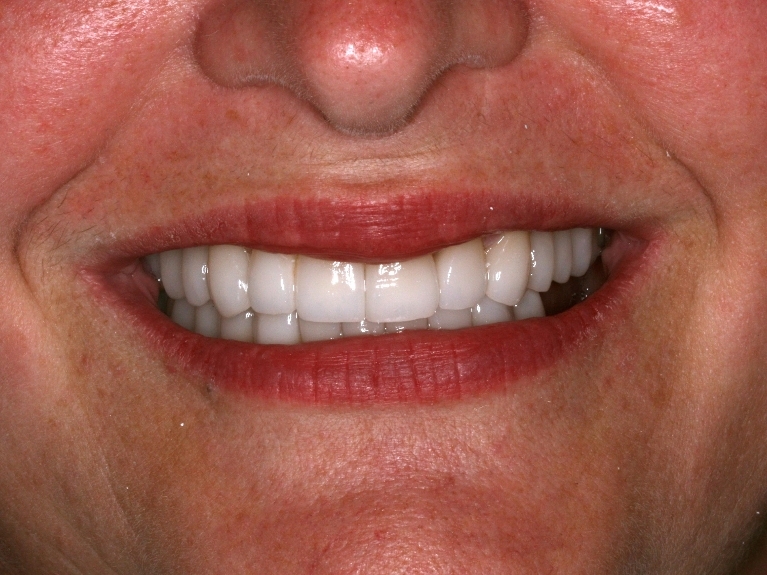 Both front teeth were restored with porcelain veneers. 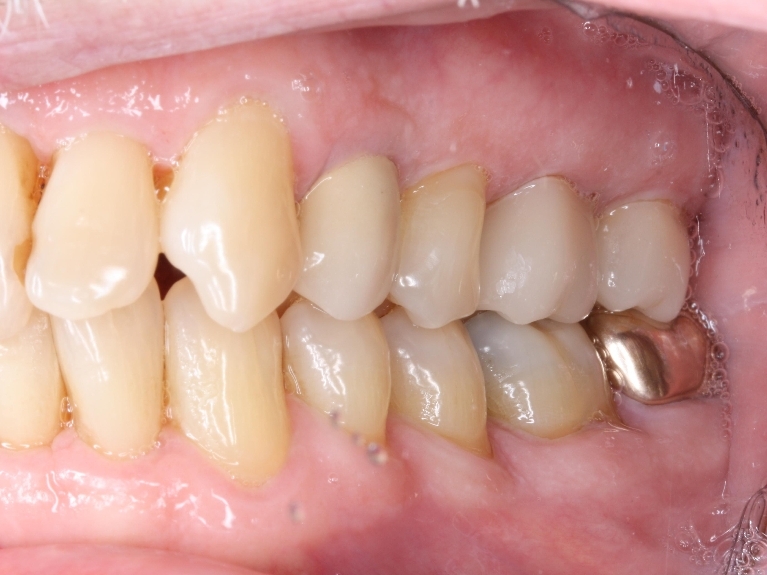 Notice that the restorations were not one solid color but were characterized to blend in with his other teeth. At Cl.. 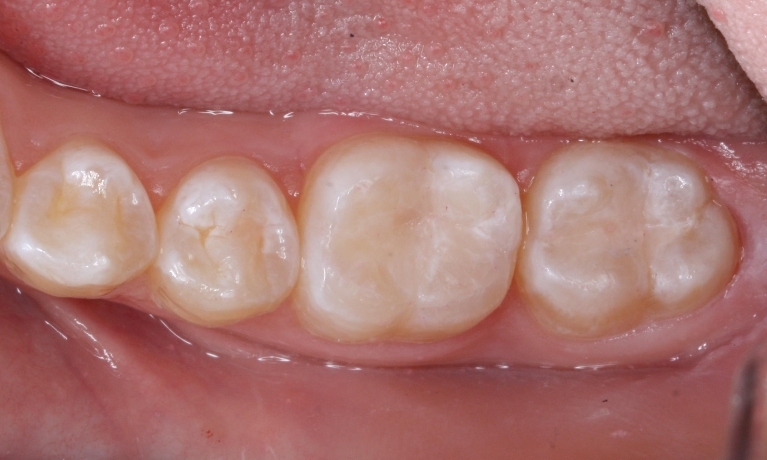 This teenager from Escondido had a few dental sealants that gathered decay underneath them. 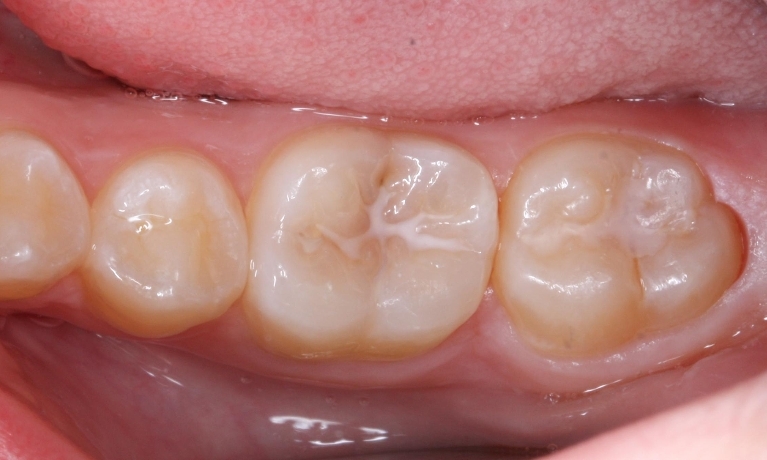 After removing the sealant and decay, we restored this tooth with tooth-colored (composite) fillings. Our goal is for our dental work to mimic what nature gav.. 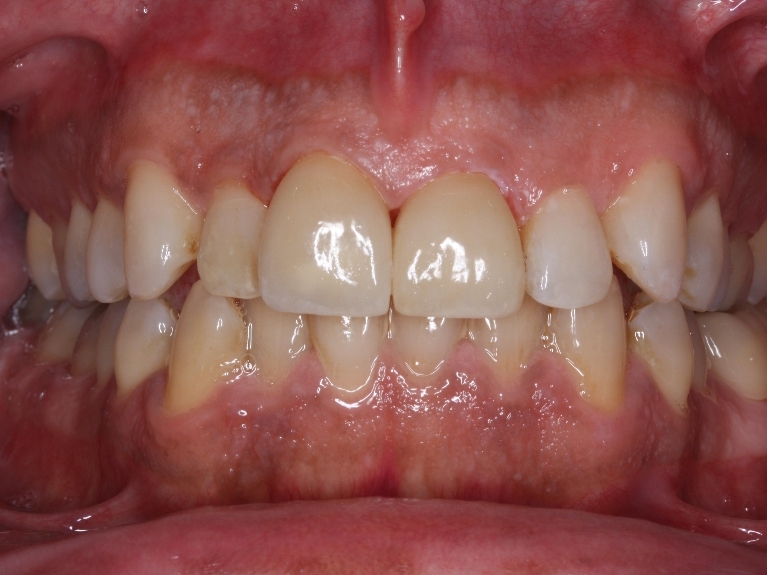 This patient traveled from out of the state to have Dr. Chan restore her front crown that had fractured. 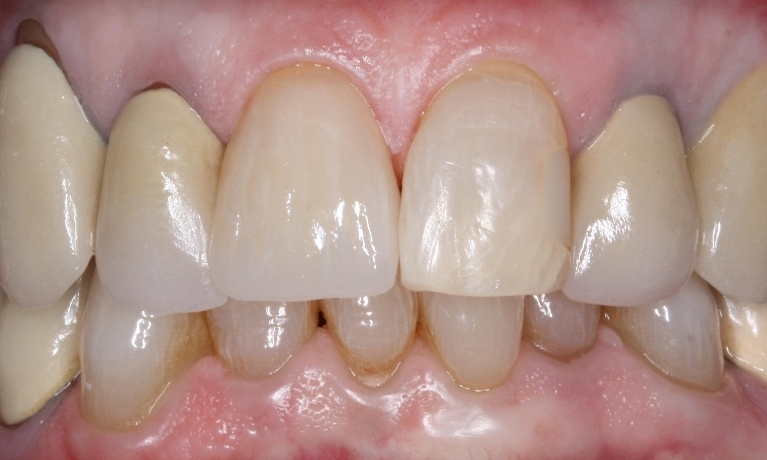 Using our advanced technology via Cerec, we were able to create a highly esthetic and strong restoration in one visit. This kind of service allow.. 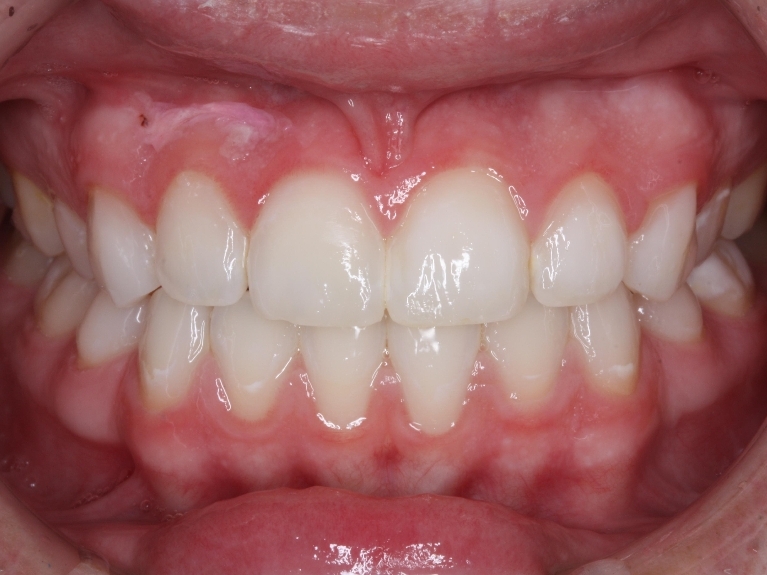 This Rancho Bernardo teenager had just gotten her braces off in time for summer – but there was a minor problem! 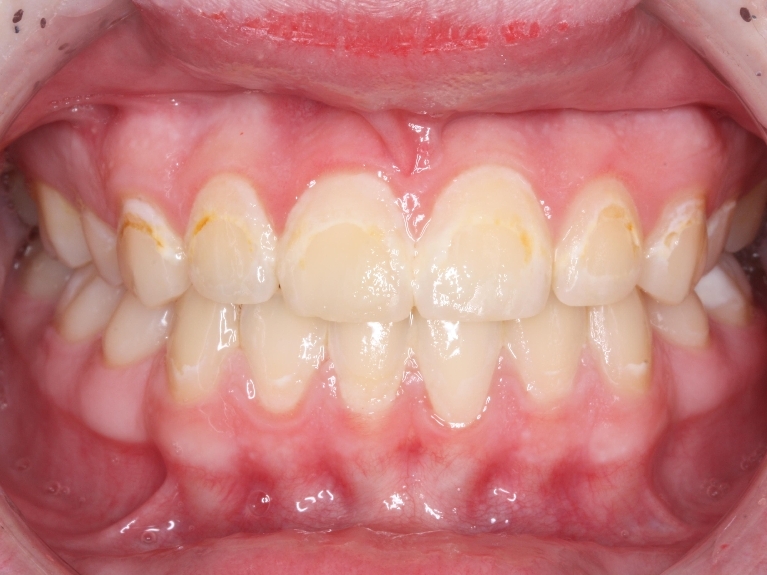 During her orthodontic work, plaque accumulation created unsightly white spots on her teeth (areas of decalcification) as well as areas o.. 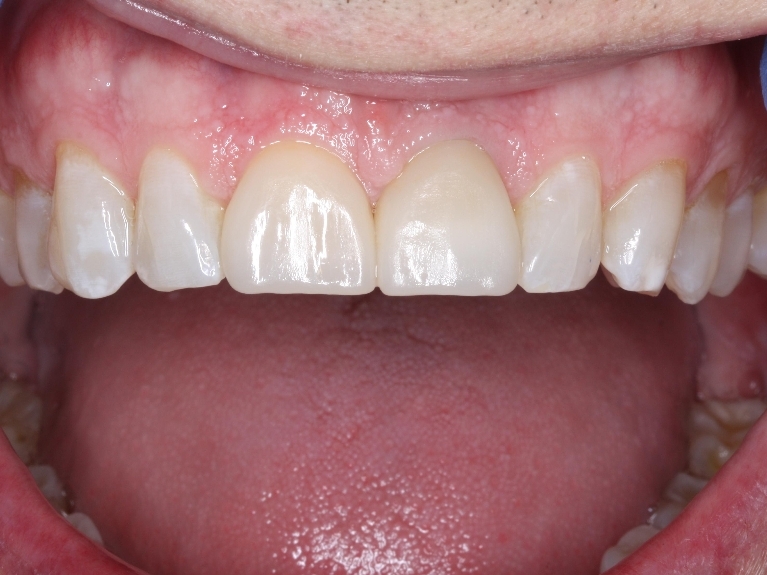 This patient needed to have one of his front teeth removed and replaced with an implant. 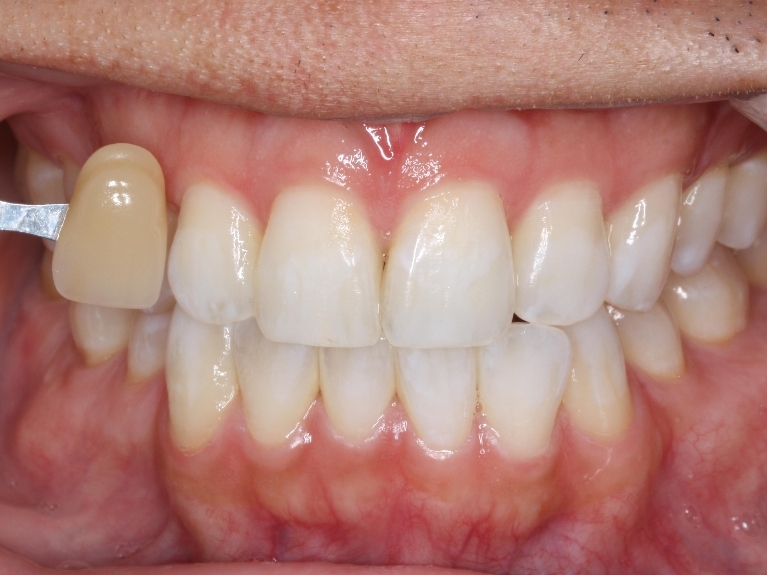 As you can see, we have successfully achieved excellent gum tissue health and esthetics. 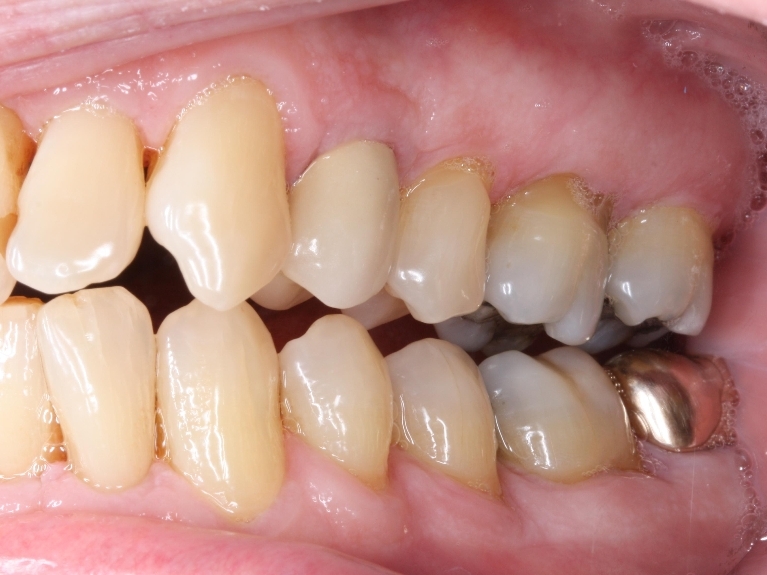 The implant crown is virtually indistinguishable from the rest of the na..
Our dentist, Dr. Brian Chan, and our team, are experts in reconstructing full mouth smiles when they have been worn down with time. 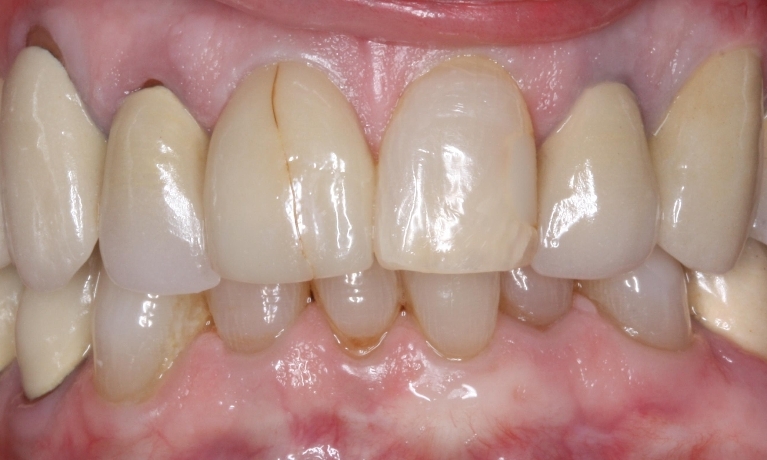 This is an example of a full mouth restoration case that we completed with all porcelain crowns in a lighter shade. So.. 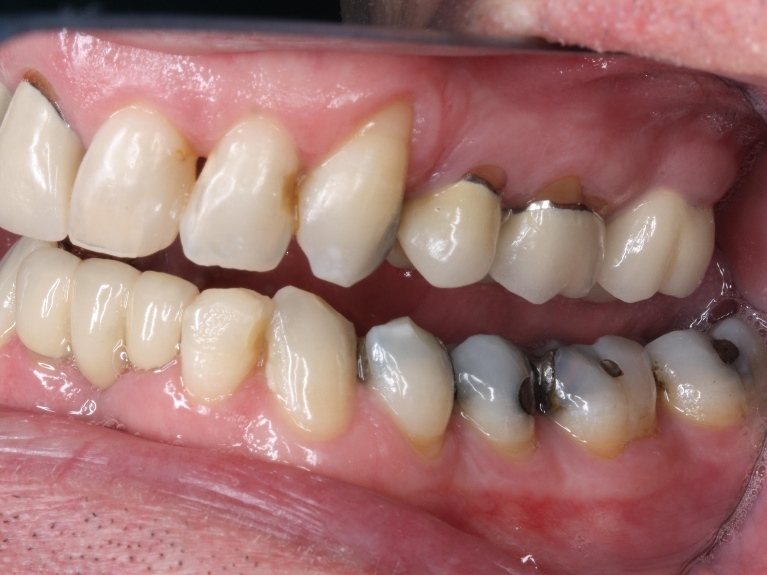 Here we have a series of teeth with old silver fillings that are need of replacement. 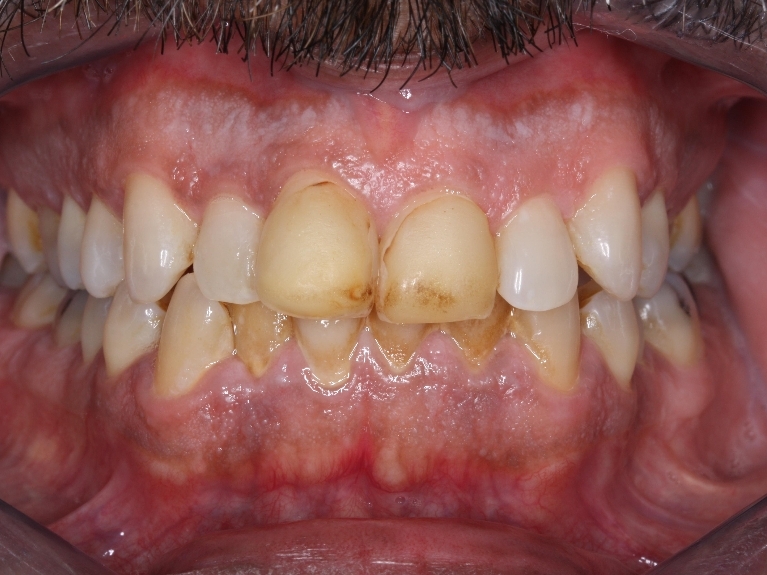 Decay and fractures made these teeth weak and prone to breaking. 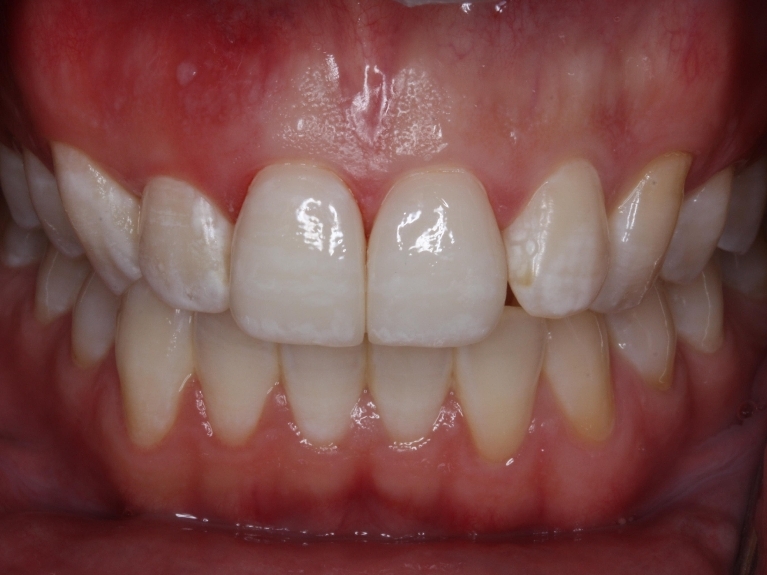 The decay and amalgam fillings were removed and the teeth restored with all porcelain crowns to gre.. 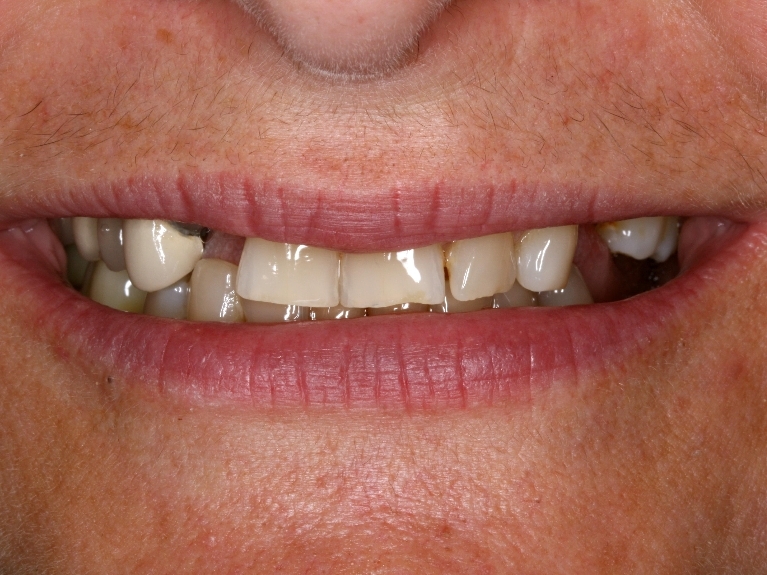 This Rancho Bernardo patient was another case of old, weathered veneers that needed replacement. The difference in old versus new materials is quite evident. 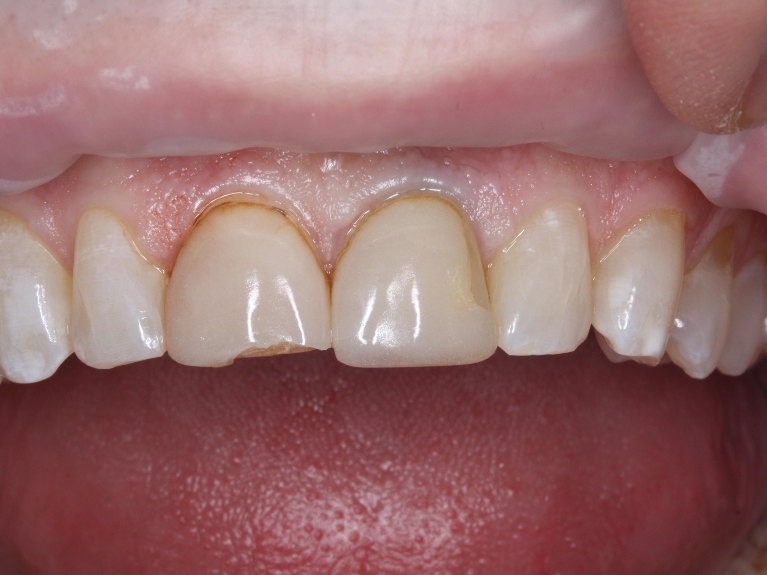 Our goal was to create two veneers that blended in seamlessly with the other teeth, so that..